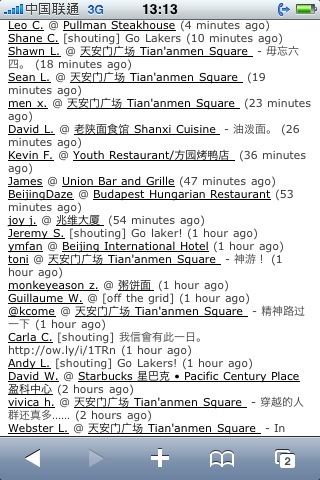 The Chinese government has blocked access to Foursquare. Yesterday marked the 21st anniversary of the infamous Tiananmen Square protests where more than 3,000 protesters were killed by the Chinese Government. This topic has since been banned from conversation, online or offline by the Chinese government. 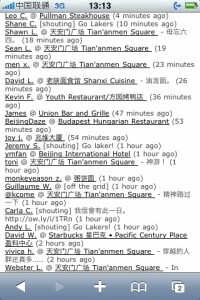 There has been an influx of Tiananmen Square checkins of late with a lot of these users discussing this sensitive topic using the tips tool within the Foursquare app. This has forced the Chinese Government to ban the use of the site, once again killing freedom of speech. As social media intrudes more and more into the mainstream , communist parties such as the CPC (Communist Party of China) is going to find it tough to shut down these digital conversations. In fact Social media’s claim to fame is freedom of speech. Do you agree?